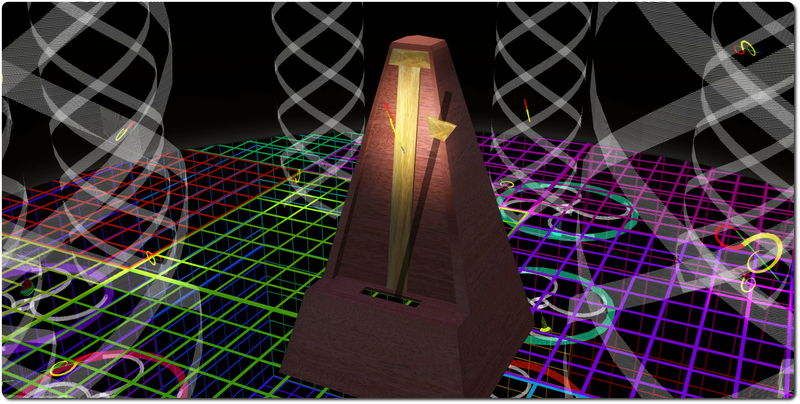 We’re all aware that the Lab is developing a “next generation” virtual worlds platform. It’s been the subject of much debate, speculation, supposition and more. The confirmation that the Lab were working on a new platform came during a TPV Developer meeting on June 21st, when it was mentioned almost as an aside by the Lab’s CEO, Ebbe Altberg. In the period of the SL11B celebrations, mention of it also appeared in a number of on-line media publications. However outside of these interviews and comments, there appeared to be no formal announcement about the new platform. Well, not until July 11th, anyway; that was when the Lab issued a press release about it. Linden Lab has confirmed that it is developing the next generation virtual world that will be in the spirit of Second Life, an open world where users have incredible power to create anything they can imagine and content creators are king. 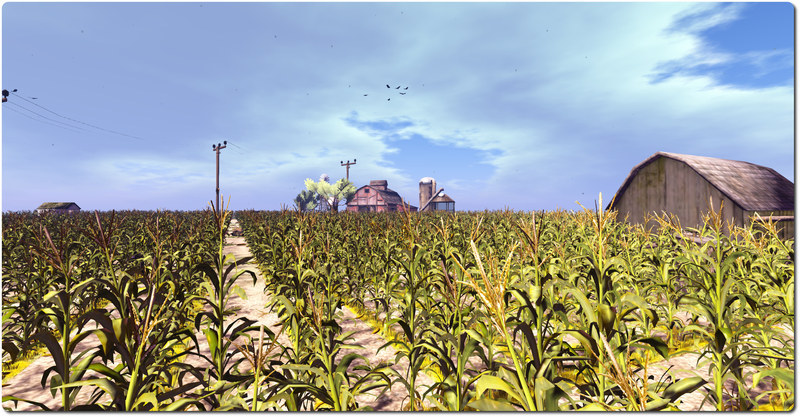 With 2015 targeted for a beta, the new virtual world will go far beyond what is possible with Second Life, and Linden Lab is actively hiring to help with this ambitious project. Linden Lab’s priority in building the next-generation virtual world is to create an incredible experience and enable stunningly high-quality creativity that’s easily accessible across multiple platforms. In order to not constrain development toward those goals, complete backward compatibility with everything created over Second Life’s 11-year history has not been set as an absolute requirement from the outset. However, Linden Lab does plan to make certain essential elements transportable for existing Second Life users, including users’ Linden Dollar balances, identities, and social connections. It’s likely that more modern content from Second Life, such as meshes, will also be transferrable to the new platform, but the specific details of compatibility will be addressed as development progresses. You can read the entire release, including comments on the future of Second Life, on the Lab’s official press page. 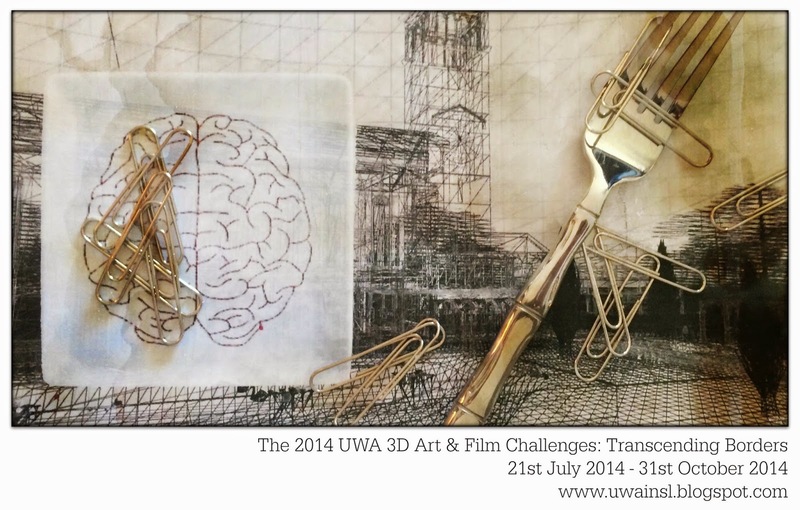 On Monday July 21st, 2014, the University of Western Australia (UWA) announced the opening of their new combined Art and Machinima challenge, Transcending Borders, which brings together their 7th MachinimUWA and their 5th UWA Grand Art Challenge into one event. Transcending Borders is sponsored by Tom Papas & SciFi Film Festival, LaPiscean Liberty & SL Artists, AviewTV, Taralyn Gravois and Arts Castle Gallery, TheDoveRhode and Peace is a Choice and S&S Gallery of Fine SL Art, Jon Stubbs & UWA Student Services, as well as The UWA Virtual Worlds Project, and the prize pool is an impressive L$1,030,000, with a further L$240,000 available as special audience participation and other prizes! Those wishing to participate are free to enter either the art or the machinima challenge – or both, if they wish; just so long as all entries are received no later than midnight SLT on October 31st, 2014. Winners will be announced in December 2014. Entrants are invited to interpret the challenge theme, Transcending Borders, in any way they please. It might refer to transcending borders between space and time, or the past and present or the present and future, the borders separating nations or cultures or languages, or any one of the many borders we encounter as we navigate our physical and virtual lives. All submitted machinima must be made specifically for this challenge, and must include “For The University of Western Australia’s MachinimUWA VII: Transcending Borders” in the opening credits. 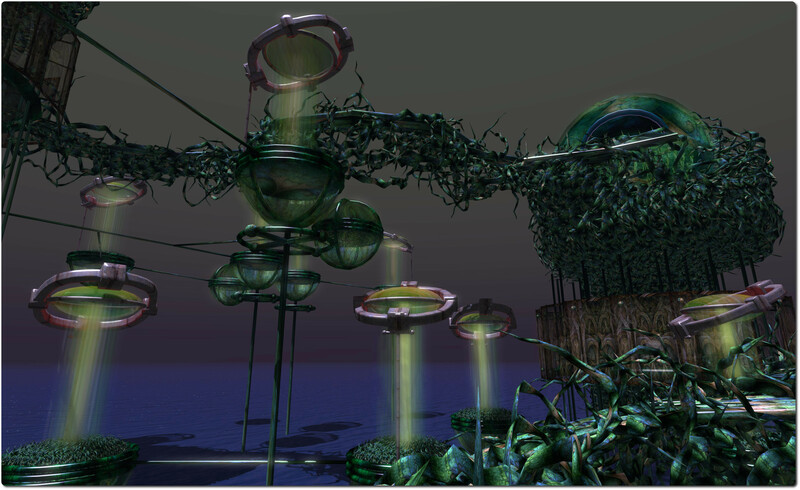 Art submissions should be made via the art entry receiver at the UWA Art Chellenge Platform in Second Life. Machinima entries should be uploaded to any publicly-accessible location, but preferably to YouTube or Vimeo, and the details of the entry (name, creator, location, etc.) supplied to Jayjay Zifanwe and LaPiscean Liberty in-world or by e-mailing the details to Jayjay (jayjayaustralia@hotmail.com). L$515,000 in prizes in both the art and the machinima categories, with each category having a L$100,000 first prize. Furthermore, the machinima category has an additional special UWA Prize for the best machinima which features one of the Winthrop Clock Tower, the Sunken Gardens or the Somerville Auditorim. There are also two special Curator Prizes, one for art and one for machinima (the latter will be awarded to best film which features one artwork from the current art challenge or a winning entry from past UWA art challenges). For full information on the challenge, including infromation on the theme, all rules, submission guidelines, prizes (including audience participation prizes) and details of the judging panel, please refer to the UWA blog post. My apologies for this appearing a little on the late side; things have been a bit manic in the physical world of late (not helped by the Tour de France and the German GP this weekend! ), and I’ve been slipping behind on blog posts (I’ve also got to talk to my minions about vacation scheduling….). Note that the following notes are taken from both the Server Beta User Group meeting of Thursday July 17th and the TPV developer meeting on Friday July 18th, the video of which is supplied below (my thanks to North, as always). Items taken from the later are time stamped within the text, so you can locate and listen to the discussion in full via the video. On Thursday July 17th, BlueSteel and LeTigre were both be updated with the Experience Keys project, but otherwise remained on the same server maintenance project as week 28, which addresses a JSON-related bug, an interest list related race condition, and to improve L$ transaction logging for payments made by scripted objects. See the release notes (BlueSteel) for details. The Group Ban viewer reached release candidate status on Wednesday July 16th, with the release of version 3.7.12.292031. This viewer allows certain group members to ban avatar from a group or from joining a group When an existing group member is banned, they are also automatically ejected from the group. Please refer to my Group Bans overview for further information, if required. [04:20] This viewer, version 3.7.12.291824, has been tracking with the same crash rate as the current release viewer (3.7.11.291465), and as such is expected to be promoted to the de facto release during week 30 (week commencing Monday July 21st). However, it has been reported that the Mac Alt-Cam bug (BUG-6760) fix doesn’t work and has been referred back to the Lab for further investigation. [04:56] It is anticipated that an updated version of the Oculus Rift project viewer will be appearing soon, potentially in week 30. The update will bring the viewer up to par with the current 3.7.12 release code base. [04:44] There is a special log-in test viewer currently on closed use (there is no publicly available version), which is being used for some kind of A/B testing related to logging-in to Second Life. Precisely what this testing is geared towards is unclear. [05:50] Oz Linden has been working on improving the viewer autobuild process, and there is a new version of autobuild, together with a wiki page on the changes and improvements. The new version brings with it a number of improvements, such as stricter library version checking, full transitive dependency checks, additional error checks, etc. This is considered to be one of the steps required in order for the viewer to be compiled using Visual Studio 2013. Full details in the video for those into self-compiling viewers. [00:20] The Third-party Viewer Directory, which lists all Second Life viewers and clients which have gone through the self-certification process, has been revised. Those viewers which have not been updated recently enough to be considered fully compatible with current Second Life services (e.g. they lack things like server-side appearance, etc.). We are working on group chat; I don’t really have much to report on that this week. We’re doing a set of experiments and collecting a lot of data, and then we’re going to come up with the next round of changes to make. One of the things we’ll try to do, once we think we’re done with this project – and I have no predictions for when that will be – is tell people how it went and what we’ve done. It may well be that before we’re done, we’ll come back to this group and say we’re making changes to interfaces to viewers for group chat in order to improve the situation. I don’t know of any of those yet, but I’m not ruling them out. We’re going to try to make group chat a lot better, and if that means not being 100% backwards compatible, then that’s what it means. At this point we’re not looking at changing the protocol with anything else. Not ruling it out, but that’s not the correct direction. The current creator beta programme for Experience Keys has now been filled. Commenting on it at the Server Beta meeting, Coyot Linden referred to it as proving “wildly popular” and that the Lab have “heard some really cool ideas for new experiences”. He also referred to this being “round on” of the beta programme – so there may be more opportunities for creators to be involved in the future. As information which can be displayed in the Search tab of the Experience floater, allowing users to search for the most popular experiences at any given time. On Sunday July 20th, the Linden Endowment for the Arts announced the successful applicants for the 7th round of the LEA’s Artist-in-Residence (AIR) programme. They are: Ais Aeon, BabypeaVonPhoenix Bikergrrl, Ellie Brewster, Uan Ceriaptrix, Giovanna Cerise, Peli Dieterle, Mac Kanashimi, Neeks Karu, Frankx Lefavre, Sowa Mai, Lor Pevensey, KatanaBlender Resident, MarioZecca Resident, FirleFanz Roxley, Searby, Pixels Sideways, Mandel Solano, Betty Tureaud, Octagons Yazimoto and Kimika Ying. The successful applicants will each be allocated a full region within the LEA for a 6-month period. They have up to four months to prepare their projects, which range from full-sim immersions, to innovative builds geared specifically for multimedia works such as sound and machinima. Each installation must be open for a minimum of two months of the 6-month allocation, and it is expected that some will be open in advance of the four-month build deadline. All exhibits must be open to the public by the end of October 2014 at the latest. All openings will be announced in the LEA blog.